Can I get heated seats? Do I have to get a sunroof? 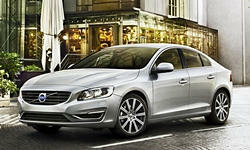 Find out what you need to know about Volvo features right here. Cyclist detectionWarns driver of cyclists in path of car. Warns driver of cyclists in path of car. Second DVD player for entertainment systemSecond DVD player allows two different DVDs to be played simultaneously. Second DVD player allows two different DVDs to be played simultaneously. Power-folding headrests, second row seatsFold at press of a button on the instrument panel, to improve rearward visibility. None of our members have yet commented on the available features of the 2018 Volvo .